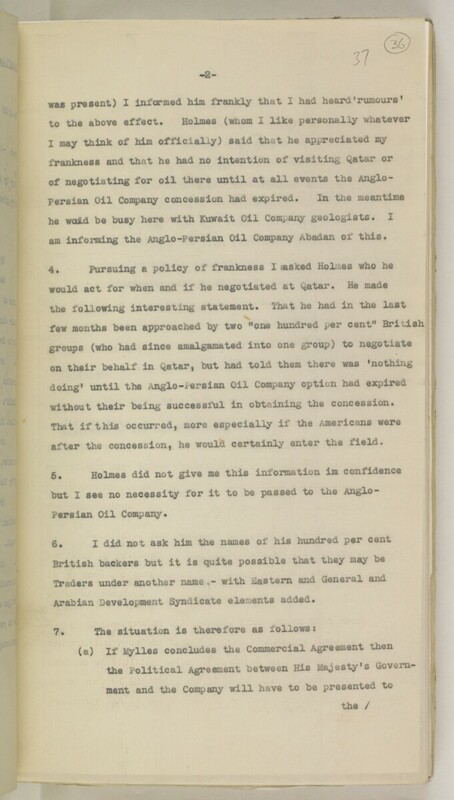 am informing the Anglo-Persian Oil Company Abadan of this. without their being successful in obtaining the concession. after the concession, he would certainly enter the field. Arabian Development Syndicate elements added.